America will be celebrating a long weekend as it approaches this year’s celebration of its Independence Day. Some people will be lighting up the fireworks and firing up the backyard grill. A lot of online sites are getting into the spirit of celebration as the 4th of July approaches. One of these is Americas Cardroom. Although based in Europe and officially open to international players, it has never forgotten its roots catering to American poker players. This is why it has come up with two great promotions for the coming weekend. The big news from Americas Cardroom is that it is changing this weekend’s Sunday Major a little. The site already has regular Sunday tournaments, which used to be the Million Dollar Sundays. A $215 buy-in would allow players into these tournaments with a guaranteed prize pool of more than $25,000 and 10,000 chips to start with. For this Sunday, though, there needs to be a little extra if people want to celebrate over 240 years of US Independence. This is why Americas Cardroom will offer $240,000 guaranteed for this Sunday Special tournament’s prize pool. Depending on the number of entries, players can win up to $120,000 if they are in the top spots. The main barrier to entry is the buy-in since sometimes that $215 is a bit too expensive for some. 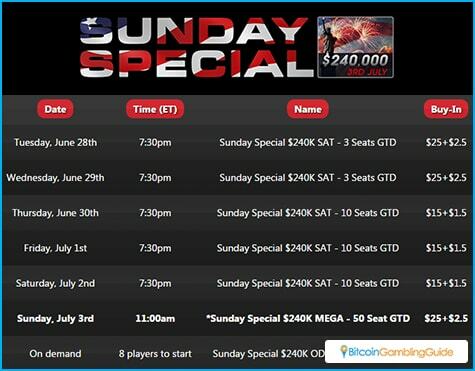 That is why the site has organized a set of satellite tournaments for seats at the Sunday Special table. Participating in these satellites only cost around $15 to $25 and the top slots will give players automatic entry into the main event on Sunday. Players do not even have to be from the US to join the festivities. 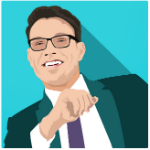 The Sunday Special itself will happen on July 3 at 3 p.m. EST. Players would not be able to enjoy these tournaments if they did not have any money. This is where the other promotion comes in. The July 4 Bonus is going to last from July 1 to July 4, and it will provide players with a big boost in their bank roll. Starting July 1, whenever a player makes a deposit, they can get a 100% bonus of up to $240. 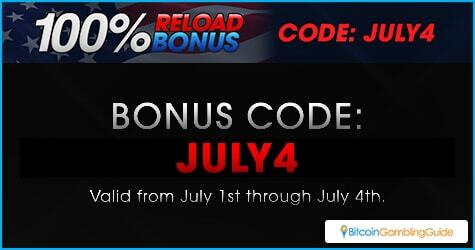 All they need to do is enter the code JULY4 in the Bonus Code section of the deposit page. Players will want to use this bonus in this weekend’s tournaments since it will make them easier to redeem. Americas Cardroom releases $5 worth of bonuses every time a player accumulates 120 Award Points. Considering that players get 5.5 Award Points for every dollar spent in tournament fees, the many tournaments this weekend, along with the large buy-in for the Sunday Special makes it an ideal time to redeem any bonuses that are in a player’s account into real cash. The red, white, and blue all fly high this weekend. Players can add a bit of green to that by taking part in Americas Cardroom’s two events. Also still ongoing until July 3 are the WSOP and PCPC Qualifiers.